All of the new products are available for purchase from the company’s website and Mi Home Stores as well. 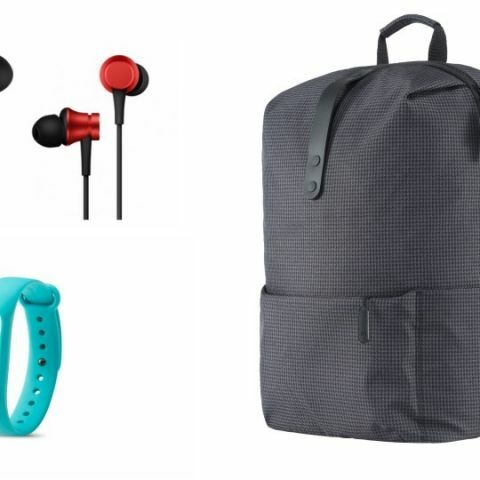 Xiaomi has launched a range of new accessories in India like the Mi Earphones, Mi Headphones basic, the entire range of Mi Backpacks and the and the Mi Band Strap - HRX Edition. The new products launch soon after the company opened its Mi Home Experience Store in Chennai, which showcases the company’s products which are not yet launched in the country. All the newly launched products are available for purchase from the company’s website and offline from Mi Home Stores. Starting with the headphones, the company has priced its Mi Earphones and the Mi Earphones Basic priced at Rs 699 and Rs 399 respectively. The Mi headphones feature a metal diaphragm and come with dynamic bass while making use of a new balanced damping system, which internally enhances its audio and airflow, says Xiaomi. The device features metal sound chambers, which are made using a 20 step process like CD engraving, diamond cutting, drawing and anodising on a piece of Aluminium. The Mi Earphones Basic are entry-level headphones, which aim at delivering decent audio performance on a budget. Similar to the Mi Earphones, the Mi Basic Earphones also come with new damping system and an in-line mic with a button to control music and handle calls. Xiaomi says that its outer shell and sound chamber are made of Aluminum. Mi Headphone is available in a Silver colour model and the Mi Earphones Basic is available in Red and Black colour variants. Xiaomi has also introduced three new backpacks, the Mi Travel Backpack, Mi City Backpack, Mi Casual Backpack. As the name suggests, the Mi Travel BackPack is waterproof and comes with extra two compartments. It comes in Blue and Grey colour models and is priced at Rs 1,999. The Mi City BackPack is aimed at daily commuters. It comes with EPE filling on the shoulder straps and is water resistant as well. It is priced at Rs 1,599 and comes in dark grey and light grey colours. There is also the Mi Casual BackPack which is priced at Rs 899. It features a checkered design and comes with changeable shoulder straps. It is available in Black, Grey and Blue colours. Finally, the HRX Edition of the Mi Band gets new straps in four new colours of Orange, Blue, Black and Green. It The new Band Straps features reinforced inner lining and are priced at Rs 199.